I’m bringing back the ultimate gift guide again this year. 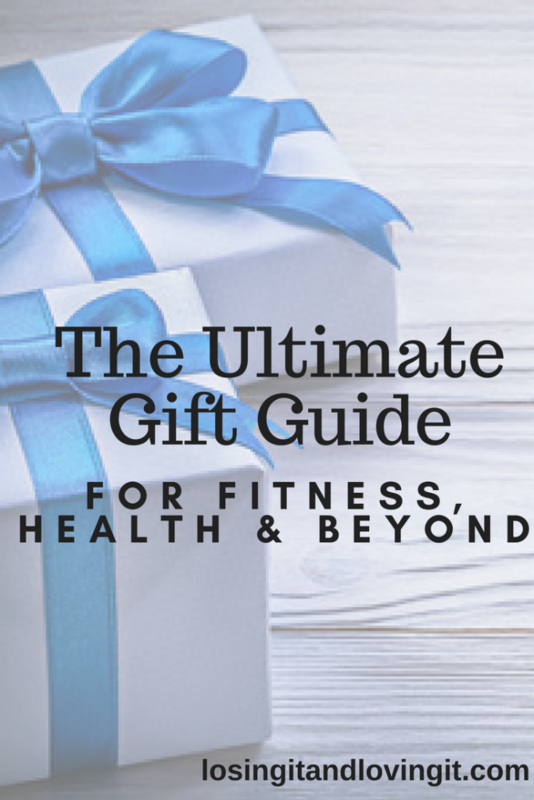 Sprinkled throughout the guide, you’ll find some of my fitness and health favorites and beyond. Make sure you sign up for Ebates before you do any more shopping online. You can get cash back on a ton of sites! I have received well over $100 so far for my online shopping. You get $10 and I get $25 when you sign up and start shopping so thank you in advance. There are double cash back stores, you can also refer and earn when your friends and family sign up for Ebates. PLUS you’ll be entered to win $50,000. Awesome! The Polar Loop and Polar A360 are my top two personal favorite fitness watches. Polar’s personal fitness trackers have been my go-to for a long time. 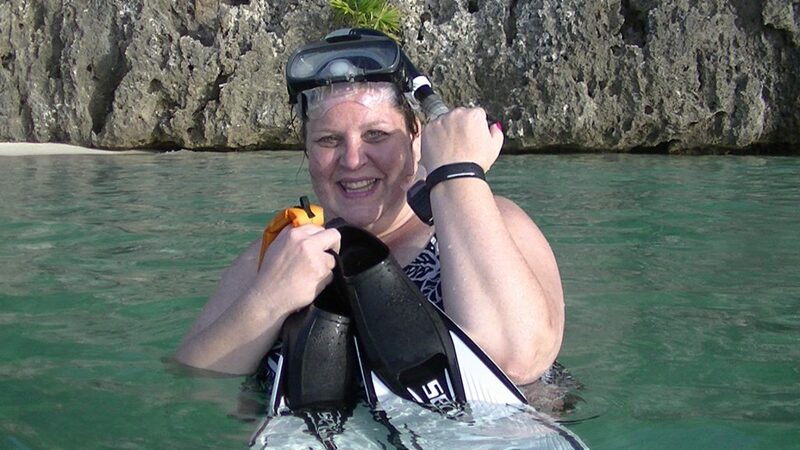 I did try out Fitbit and although it was fun for a while, we had a few that didn’t last long and had to be replaced. I got over that real quick. I had the Fitbit Charge HR in Tangerine and Kev had it in black. He had a total of THREE replaced due to them falling apart. We are both partial to Polar fitness trackers! Oh, and did I mention Polar watches are waterproof? Yes, score. And don’t forget the Polar Balance scale. We gave our original and FitBit scales away and bought the Polar balance scale. My next recommendation is Leslie Sansone’s Walk Away the Pounds workouts. These are my all-time favorite workouts and something I will be getting back to ASAP. If you’re looking for something to help with weight loss and/or more energy, these at home workouts are perfect. Way back I lost over 80 lbs using her workouts. Keep it simple! Rebounding/Mini Trampoline – This is another of my favorite workouts. The rebounder puts no pressure on my knees or anything. And I work up a nice sweat just bouncing, not even jumping. I have the Urban Rebounder but there are a lot of good ones out there. This is what one looks like. There are rebounding workout videos too! I have a few on my Amazon wishlist. Like this set. Bose SoundLink Speaker – best speaker ever. I have one in white and it’s awesome to carry around and use anywhere I want. The sound is awesome too. It looks like they have a new design now (the II). Now they have a NEW SoundLink Micro that is waterproof, smaller and easier to take on the go. You can bet I have it on my wishlist now too! My favorite fitness headbands. Looks like they are going fast! Ryka shoes for women – these are one of my top favorite brand of fitness shoes. I’m currently wearing the Fila Memory Cool which I wear every.single.day. And I have these New Balance training shoes that I only wear while in the house or home gym. It’s important to have good fitness shoes so please don’t skimp on these. Need something to release the tension and keep your muscles healthy? The Massage Track is quite the little system. I love it for a foot massage. BUT this full-body zero gravity space saving massage chair has been on our wish list for some time. Oh this would be nice. Nature Made® – Do you strive to live a healthy lifestyle? Then Nature Made® products are a great fit. I have taken their probiotics, multi for her vitamin, B-12, D3 and Magnesium. High quality and great company. You could put together a nice gift basket/bag full of supplements, probiotics, etc. These colorful gift bags would work perfectly with some ribbon and make a nice gift any time of year. Essential Oils – These are popular. People have been using essential oils for a long time. I personally love them when I remember to use them lol but seriously they help me stay focused and on task and helps me with sleeplessness. You might want a diffuser to go with these as well. You must have a collection of teas and accessories – I absolutely love tea from English Tea Shop. They have a super fabulous selection of organic and 100% natural ingredients. Plus an electric tea kettle from Cuisinart. Everyone we have bought these for loves them. Coconut Oil – Great for skin and cooking. Yum! If you have a Trader Joe’s nearby, you can get it cheaper there than on Amazon most times. Organic extra virgin is best. Here are some must-have kitchen accessories. Kev bought me the red Vitamix and I love it. The other kitchen item that has been on my wishlist is a KitchenAid mixer. That has been on my wishlist for years but hubby keeps saying no. He doesn’t think I’ll use it. Hmmm. Spiralizer – I have the Paderno World Cuisine Spiralizer Pro to make zoodles (zucchini noodles). I also have spiralized sweet potatoes, carrots and more. Vitamix – I wanted it for the sole purpose of its horsepower. It’s not as loud as the Ninja Kitchen System I was using before thank goodness. Instant Pot – The Instant Pot pressure cooker is the bomb. Seriously it’s one of the most awesome and most used accessories in our kitchen. We have had ours for over a year and bought one for a friend last year plus accessories. Having an extra stainless steel pot is great too. Don’t forget the Instant Pot glass lid. Make Drinking Water FUN! – Love this Contigo Shake & Go cup, this BEAST tumbler and I always have a few of these fun Tervis cups around. Plus I grabbed a BUBBA cup too. Now look what I have gone and done. I found a MERMAID Tervis cup that must go on my wishlist. See, I seriously have a drinking problem (water of course!). Here’s my kitchen accessories list for you to peruse! Looking for smaller gifts or stocking stuffer ideas? I always have a hard time stuffing stockings at Christmas so thought I would add a fun addition to the ultimate gift guide. Here are some simple ideas to help you. Fun Zipbuds never tangle earbuds along with an Amazon music gift card. Mini bluetooth speaker – We have the JAM one like this but in orange. One last place to look for unique gifts online is Uncommon Goods. You will find so many cool things there. And they give back too. Check them out. 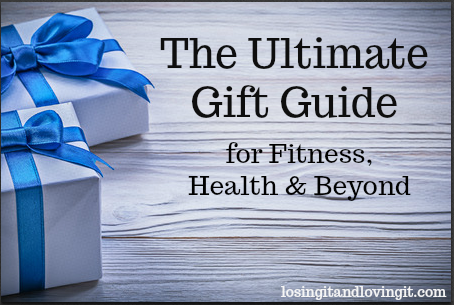 Thanks for checking out the ultimate gift guide for fitness, health & beyond. I love to check out and buy from other gift guides. I find many items I would not find on my own. It’s never too late to stock up on some fun, unique gift ideas to always have on hand. Please pin and share this post! I have some ideas of my own. A magazine subscription is an awesome gift because it is customizable. You can cater it to the person so if the person is more food or fitness oriented get them a food magazine or a fitness magazine or a general health magazine. The options are endless and they can be like $10 to $20 a year subscription so it’s a gift that keeps on giving! Workout gloves and onion goggles are other gift options.